The Ultimate Program for People committed to become Trading Pros! If you are committed to taking your trading to a whole new level, then this is for you. Every week we go LIVE for an hour and as a group analyze any and all coins you want us to look at. Be there when we spot the next big thing, and use the power of the group to hold yourself accountable. I'll see you in the trading room! 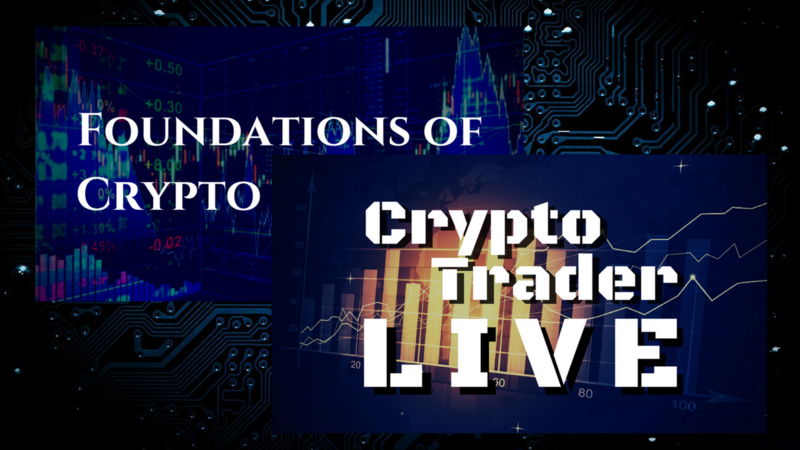 You will pay $997 once to own Foundations of Crypto Trading forever and also receive a free month-long membership to Crypto Trader Live. After the first month you will be charged $199/m to continue your subscription, buy you may cancel any time! NO FINANCIAL ADVICE – The Information on this website is provided for education and informational purposes only, without any express or implied warranty of any kind, including warranties of accuracy, completeness, or fitness for any particular purpose. The Information contained in or provided from or through this report or related services is not intended to be and does not constitute financial advice, investment advice, trading advice or any other advice. The Information in this report and provided from or through our website is general in nature and is not specific to you the User or anyone else. You should not make any decision, financial, investment, trading or otherwise, based on any of the information presented in this website without undertaking independent due diligence and consultation with a professional broker or financial advisory. You understand that you are using any and all Information available on or through this website at your own risk. Felix O. Hartmann and associated companies hold no responsibility in any losses readers may suffer due to their investments.